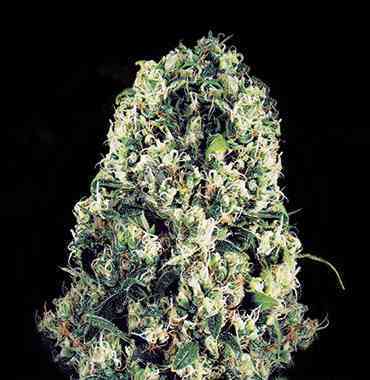 Vision Seeds Super Skunk Auto produces beautiful dense cannabis plants which reach medium height for your average auto-flowering strain, a sturdy, deliciously productive cannabis plant that is reasonably easy to grow without any additional grow and bloom nutrition. For the best results the Super Skunk Auto needs space in which her roots can develop freely, we advise you to use pots of about 10 liters, this will not be of influence on her height but will give her the space needed to optimally develop her beautiful crystal covered buds. Her Indica dominance makes her one of the most reliable and stable strains currently available on the cannabis seed market. By introducing the Lowryder autoflower genes an amazing auto flowering strain emerged suitable for indoors, greenhouse, hydro culture and even outdoors in warmer climates. She passes almost directly from seedling to the flowering stage, minimizing vegetative growth stage, in a process called auto flowering. In other words, when planted, she sprouts, grows a couple sets of leaves, then immediately and automatically begins flowering. Even though Super Skunk Auto is mainly Indica her Sativa influences are clearly present in the effect she produces, a bright cerebral high combined with a powerful relaxing stone. Medicinally she is often used to relieve stress, chronic pain and increase appetite when there is a lack of. She is highly resinous and good for a very strong skunky flavor as well as smell. 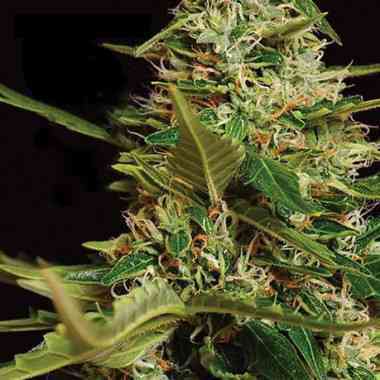 Because of her ease of growing and minimal additional care to achieve good yields the Vision Seeds auto-flowering Super Skunk is highly recommended for beginning growers.